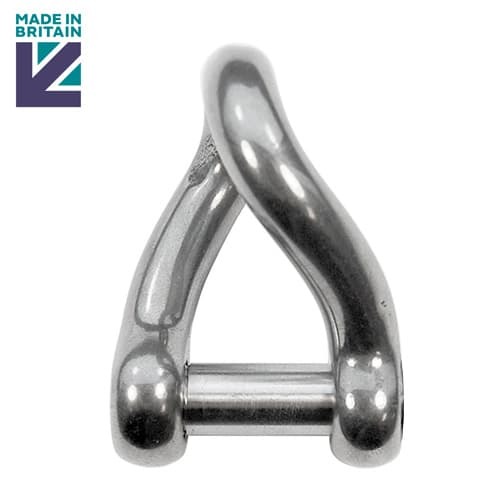 Twist shackles with hexagon socket head pins are forged by electrical upset methods in the UK from A4-AISI 316 grade stainless steel, provides a 90 degree change in direction, ideal for reducing twists and kinks on rigging. Stainless steel twist shackles are forged with a 90-degree twist so the two attachment points can be perpendicular without torquing, the flush fitting socket head pin reduces the possibility of snagging. Twist shackles available in a wide range of sizes from 5mm to 19mm, all shackles are finished to the highest of standards with a highly polished finish. This high quality stainless steel twist shackle with socket head pin is manufactured here in the UK. Marine Twist shackles Tested & Certified To BS EN 10203 3.1b. 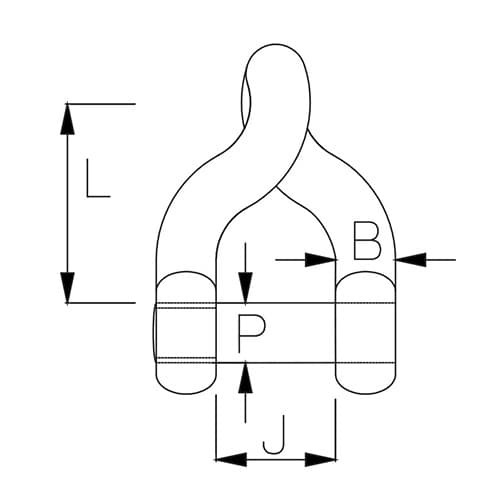 Should you require your twist shackle tested, certified and marked with its Safe Working Load (SWL), you can simply call us on 01302 752 504 and we will be happy to carry this out. 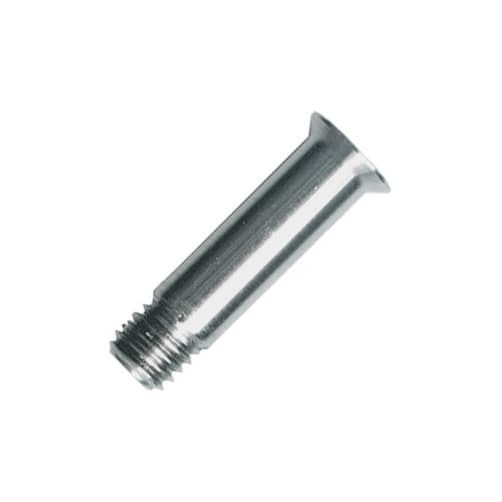 Works well, good quality product.